The snow has finally melted away uncovering the sidewalks and revealing things. 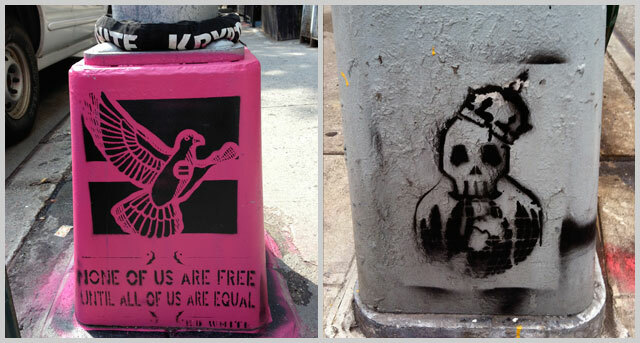 I’ve always found it curious that people like to use the bases of lamposts as a canvas. 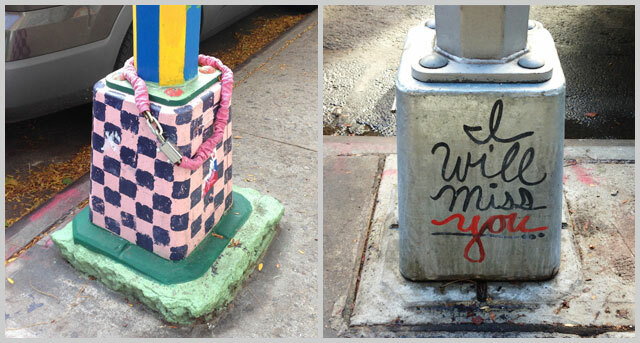 In our neighborhood, it is a common sight to see embellished lamposts. 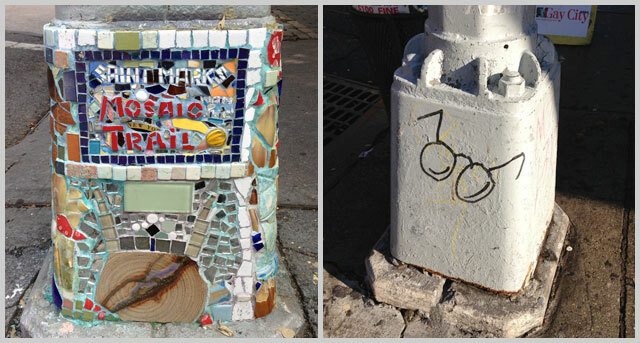 The master of the adorned lampost is Jim Power, aka, the Mosaic Man. 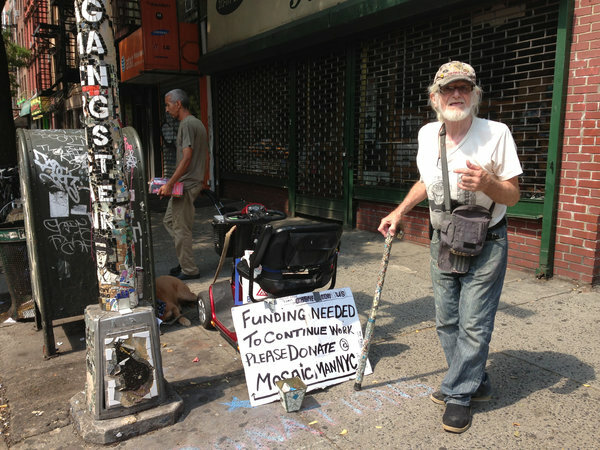 Jim is a neighborhood artist that has been working in the community for decades. You can learn about him and support his on-going project by going to The Mosaic Man – Jim Power and his Mosaic Trail. This entry was posted in loisaida - the neighborhood and tagged alphapbet city street art, east village street art, loisaida street art, street art by ileana. Bookmark the permalink. So glad you are reading Marlis. Can’t wait to see you. Thanks Elizabeth!! Please send along photos, street art will always be part of the blog and I would welcome contributors.